Beneath the enamel and dentin, the “hard” part of the tooth, lies a canal commonly referred to as the root canal, that contains dental pulp which contains blood vessels, nerves, and soft tissue that help keep the tooth viable. Sometimes, this root canal can become infected which can lead to pain, swelling, pockets of pus known as abscesses, spread of infection to your jaw, and/or eventually loss of the entire tooth. 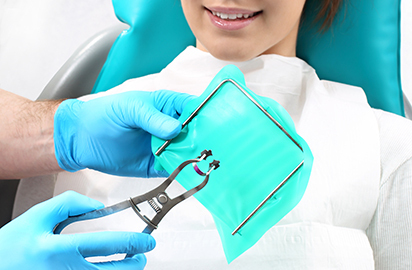 Treating this procedure involves removing all infected tissue in the canal first Subsequently, the dentist will clean and disinfect the canal. After that, a sealant is applied to the remaining space to prevent recurrence of infection. At this juncture, though infection has been treated, the remaining tooth has a tendency to dry out due to lack of blood supply and may become brittle. Therefore, a crown is placed over the affected tooth to add stability and to help prevent premature breakdown. The whole procedure is performed as pain free as possible. Signs of root canal disease include tenderness felt “underneath” your tooth, heat or cold sensitivity, spontaneous pain from no apparent cause, pain in tooth from biting down, gum swelling, a whitish bump on your gum line, or abscess, or discoloration of a tooth.